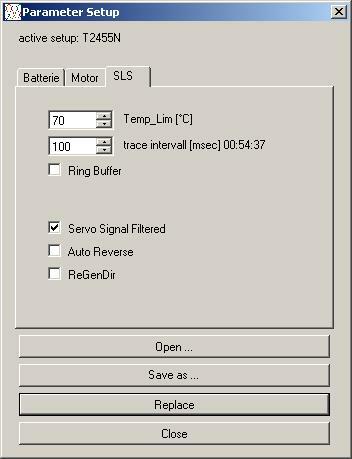 Firmware-update V1.514 for cSLS/SLS: With some HALL-sensor-poties used as throttle, there could occur problems at switch-on sequence (HALL-sensor-poti not ready, when SLS is ready). We fixed this with a delay of one second, after normal initialisation of cSLS/SLS-firmware due to give HALL-Sensor-poti some extra time to finish it's init. Check-box "Servo Signal Filtered" must be checked to add this delay - unchecked, cSLS/SLS will init as fast as usual.